Your optometrist can diagnose astigmatism with a thorough eye exam. 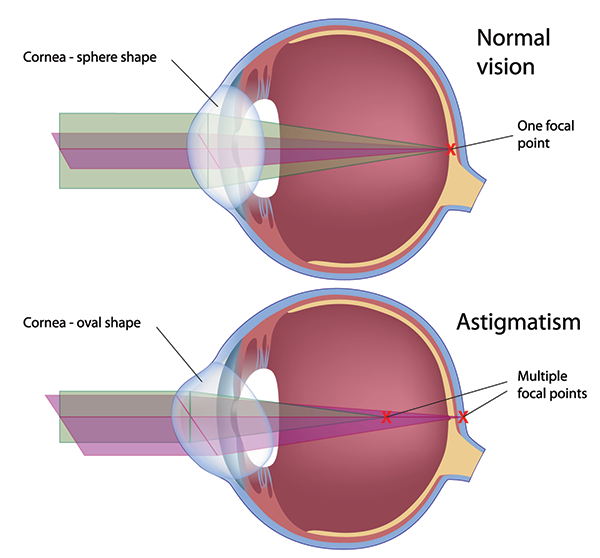 Astigmatism may occur with other refractive errors such as myopia ( nearsightedness) and hyperopia ( farsightedness). Unfortunately, astigmatism often goes undetected in school-age children, and is another reason children should have regular eye examination from a eyecare professional.